Where ever you look your eyes sweep across images in magazines, advertisements, on television and even in music videos that portray the “ideal” woman or even man, more often than not highlighting ultra-thin woman and men with decidedly delicious six-packs! 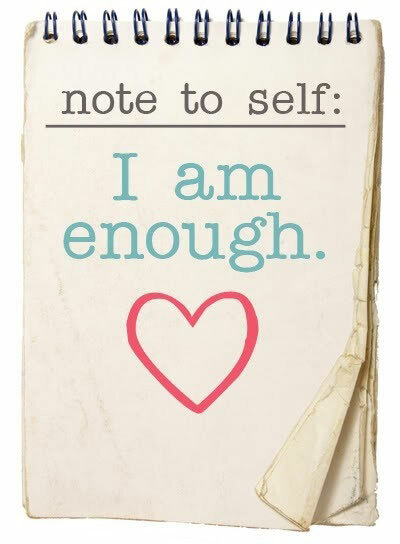 The mindset that you can never too “too thin or too beautiful” is all too prevalent in society today and realistically it makes it difficult for both males and females to achieve a level of contentment with their physical appearance. You just need to hear a snippet of the latest eating craze by Tim Noakes and suddenly everyone is eating the Tim Noakes way and “Banting” is the latest thing trending. Sadly, at the end of the day every one thinks ‘I have to be thinner!’ (never mind just trying to be healthier) and off they set on the ultimate quest to be thinner and more beautiful. The truth is, society’s is pretty warped. Earlier this week I came across an article about one of my favourite artists, Colbie Caillat. Not only is she an amazing singer, she is naturally beautiful. Yet, she was still getting pressure to be someone she’s not, both musically and image-wise. In the studio one day she mentioned to Kenneth “Babyface” Edmonds what was on her mind and he (yes a man!) inspired her to say what was bugging by putting it into a song and so she did just that! Colbie Caillat hit back with a super-empowering song, with an equally inspiring video to go with it. There are just not enough words in the world to say how much I love this! Watch it for yourself and you decide. It’s time to stop chasing what you think society requires of you and start loving all the beautiful bits about you ~ the grey hair, the knobbly knees, the extra bits of weight, your not so perfectly straight hair, your natural skin, wrinkles, freckles and all!! Be beautiful in pride and in confidence. 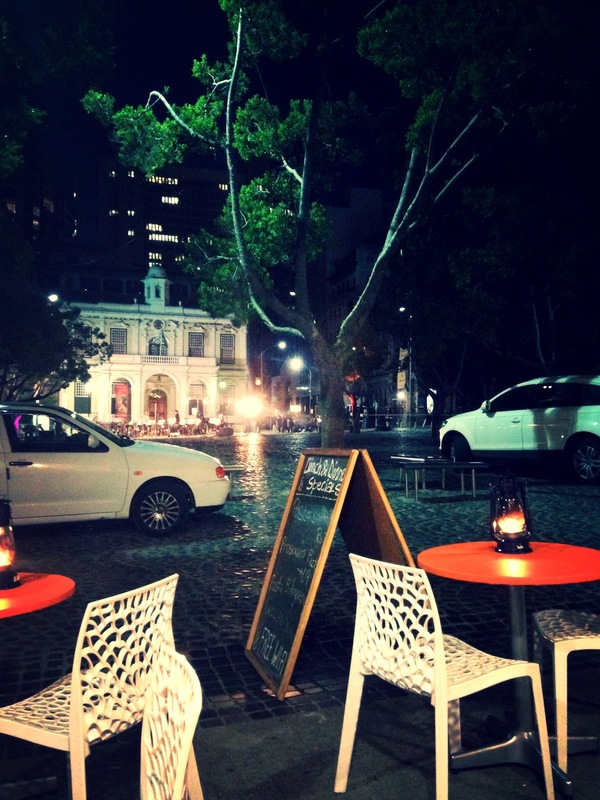 Bucket List # 119 on a Cobblestone Square under the Stars. It was a warm late summer’s evening last week when my friend Charlie and I headed into the city for an evening under the stars where I would get to tick off another bucket list item. We wandered around the streets as dusk fell upon the city streets and later, as night fell, we headed to a lovely little Italian Restaurant on the sidewalk of Green Market Square where we enjoyed pizza and beer as we waited for the night’s highlight. 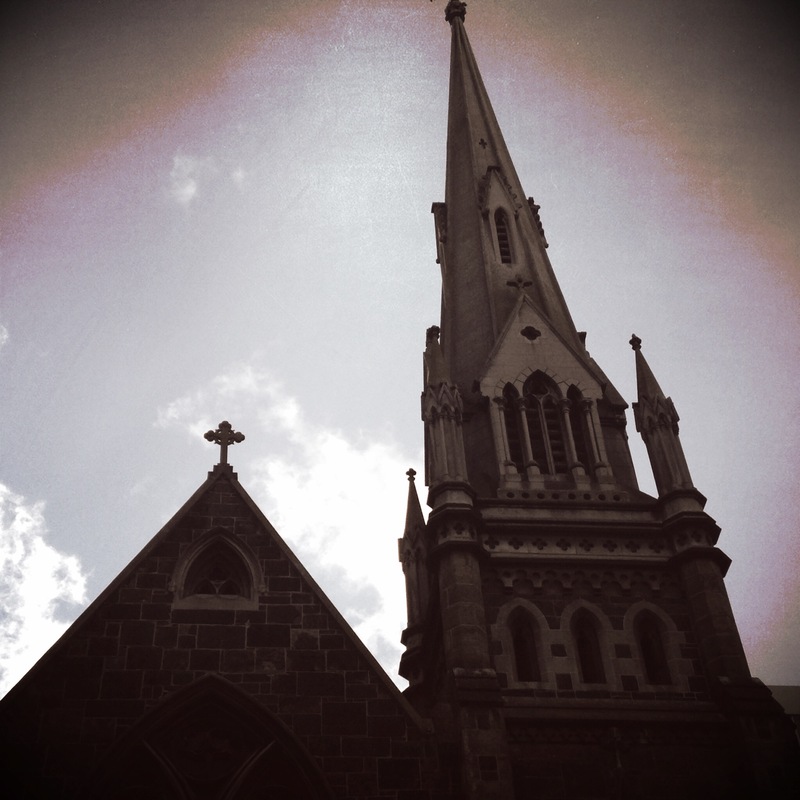 Wondering around the streets of Cape Town, this beautiful church lined the square where everything was about to unfold. The square was quiet at first with the last of the day’s traders packing up and clearing up before heading home. 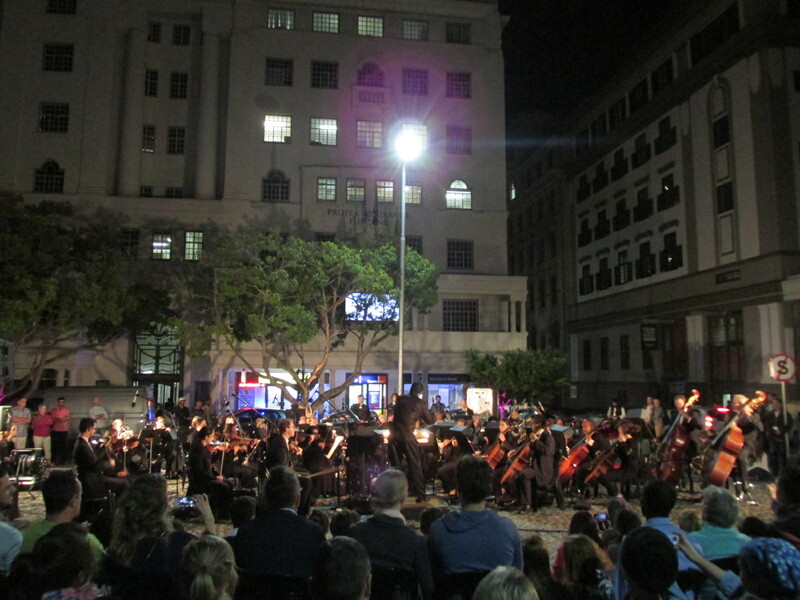 But soon the restaurant tables lining the square began to fill up and soon the square was abuzz with excitement as The Cape Town Philharmonic Orchestra was about to embark on an extraordinary musical journey under a blanket of the Mother City’s night sky and I was about to tick off another bucket list item! Sitting at a little Italian restaurant enjoying pizza and beer on the Square as we watched the ‘stage’ been set up in the square. As the time drew closer for the orchestra to begin, we left our seating at side-walk restaurant and moved closer. Before too long the crowd was beginning to fill the square and notes from the orchestra tuning their instruments began to fill the air. This display was part of a Public Arts Festival called “Infecting the City” which comes to life in streets of Cape Town once a year. The orchestra getting ready and tuning their instruments. The conductor finally appeared and took his place on the podium in front of the musicians and turned to us in the crowd and took a bow as the audience began to clap. Turning back to the orchestra, raising his arms he began to execute a series of arm movement and like puppets on a string, the orchestra began to play. The conductor cuing the musicians so they could enter or leave the musical highway at the precisely right time. The first piece played was the South African National Anthem and it spilled out into the night in a way I had not heard before. It was beautiful beyond words. The conductor began to execute a series of arm movements and the orchestra began to play, filling the night air with the sweet sounds of magic. 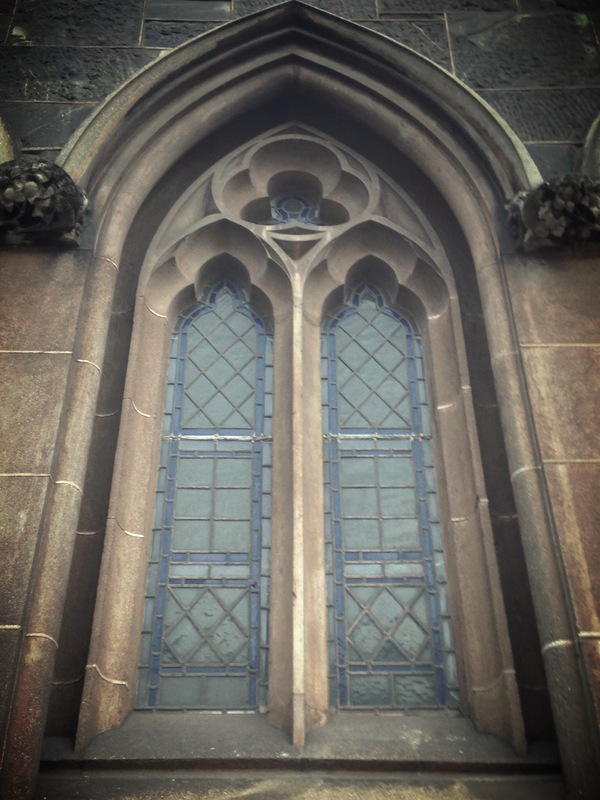 Captivated by the magic of the sounds filling the air, I was completely lost in time. 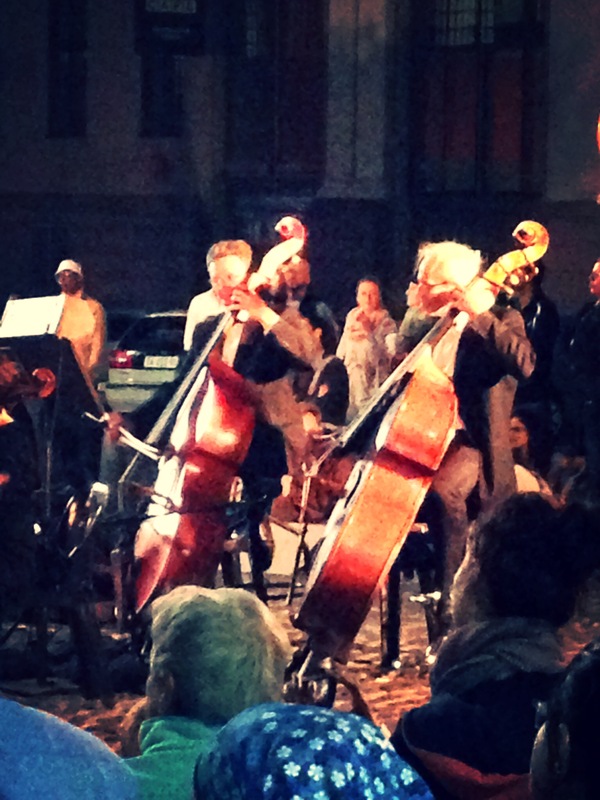 In a state of pure joy I stood there mesmerised by the fierce energy and precise ensemble playing, my ears filling with the beautiful sounds as the notes hit the summer night’s air. Across the square to my left, a lady in a red dress danced with her partner to the music, delighting my eyes just as much as the music that filled my ears. I couldn’t help but smile, the music so magical wasn’t only effecting me, it was sweeping through the crowd and touching people’s souls and showing their essence. 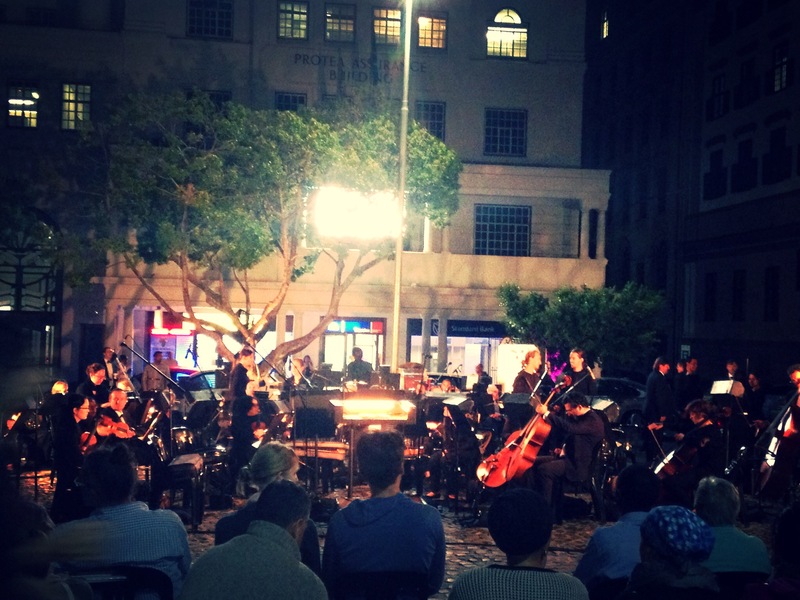 Each piece played matching the mood and atmosphere of the night perfectly as we stood in the cobblestone square under a blanket of Cape Town’s night-time stars. It couldn’t have been more perfect. The beautiful cellos. (Not the best photo as for some reason I took this photo with my phone). All too soon it was over. The crowd rose to their feet, clapping loudly and calling for an encore. 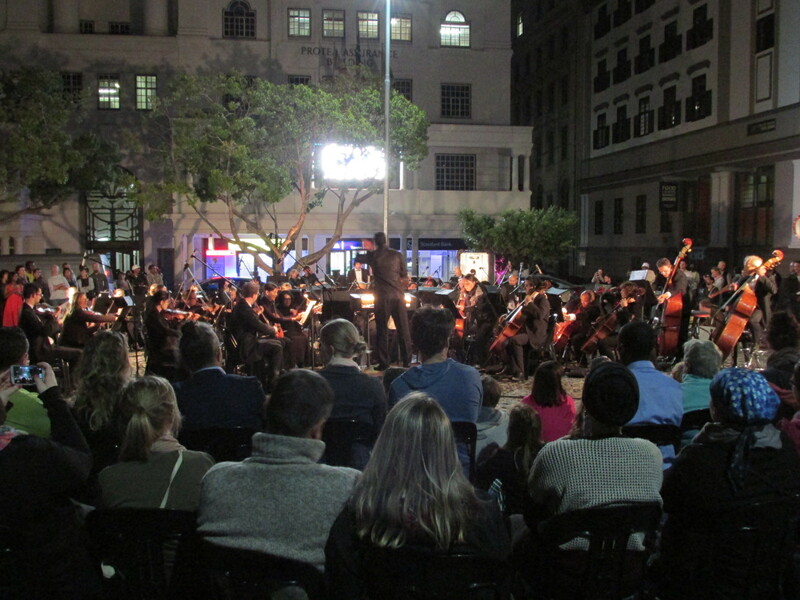 To our delight, the conductor came back, called by our rousing standing ovation and once again sweet music filled the streets of Cape Town. As the conductor had done earlier, he once again encouraged the crowd to join in, no one stood still as the crowd and the orchestra became one. For those 60 minutes I was lost in time, the music filling my soul and my body with an electric energy and leaving the square in an awe-inspiring aura that I was especially grateful to have experienced live, in person. Another bucket list item ticked with a thrilling, captivating and masterful performance! Now, I can hardly wait till I get to tick off #78 on my Living to Do Bucket List at Carnegie Hall ~ I pray it may be soon! !